Contact any of us to help get your started. Check the links below or above for more info. Want us to do a presentation at your school? We can help you get started! to discuss opportunities for Appraising, Printing Pictures, or other tasks at the competition site. Vermont Destination Imagination (VTDI for short) is this state's premier 501(c)(3) cause-driven, volunteer-led non-profit organization that helps students learn and experience the creative process from imagination to innovation. The most popular education offering is the Challenge Program, where student teams solve open-ended academic Challenges in the fields of STEM (science, technology, engineering and mathematics), fine arts and service learning, and then present their solutions at tournaments. 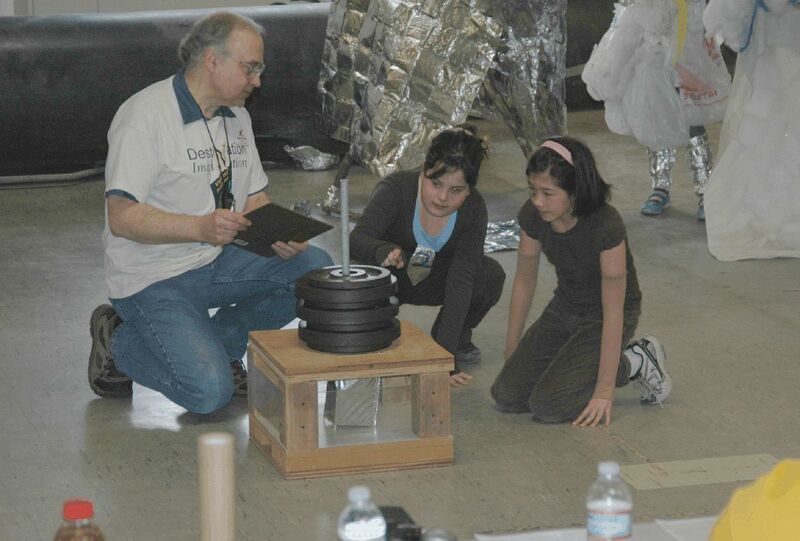 Founded in 1982, Destination Imagination has impacted more than 1.5 million students throughout the world. Teams form everywhere in the state, so, if you have questions, please ask and we'll get you some resources so your Team can excel. Jane Youngbaer by phone at (802) 454-7752 or email (click here).